Launch of NCS TOX 1.2016-2017, the first phase of a global research project on the toxicology of botanicals. Within 13 months of the kick-off meeting, players will have at their disposal a preliminary evaluation of risk of molecules contained in plants, based on existing data, text mining, in silico models and expertise. This stage will focus on 3 following endpoints: genotoxicity, systemic toxicity and sensitisation. Aiming on the long-term to provide a "Predictive database to determine the toxicological profile of Natural Complex Substances - Plants extracts", this is a Project of major importance for all stakeholders involved in the manufacture and in the use of plants and plant extracts, and especially for cosmetic and nutraceutical industries. The innovative feature of this project lies on the fact that toxicological profiles of NCSs could be obtained thanks to safety data and information on their constituents made available in a predictive database. Natural Complex Substances are covered by the REACH Regulation but are most often exempted, either by nature or for quantitative purposes. 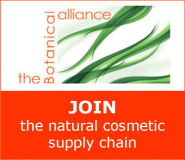 A tool to assist users - botanical raw materials suppliers and their customers of the cosmetic industry - to update or carry out the toxicological profile of botanical extracts and set up the safety report as defined in Annex 1 to the European Cosmetic Regulation which stipulates that the safety of the finished product goes through the safety of ingredients. The UNITIS NCS TOX Project aims to provide a solution to the ambivalent scientific and regulatory context which acts as constraint to innovation, and to contribute to the development of a chain of excellence, world-renowned for its know-how. The first phase, launched on September 16, 2016, will last 13 months. Which unables to have an essential and unequelled level of knowledge in the field of the Natural Complex Substances chemistry and toxicology. + Improvement of the consumer’s safety.